Sometimes I wonder if my daughter truly knows how lucky she is. I mean, she gets a steady stream of macarons and other treats not really having a care in the world as to the cost. Every time, she pops those macarons into her mouth as if they were grapes. There goes $15.00 each time! 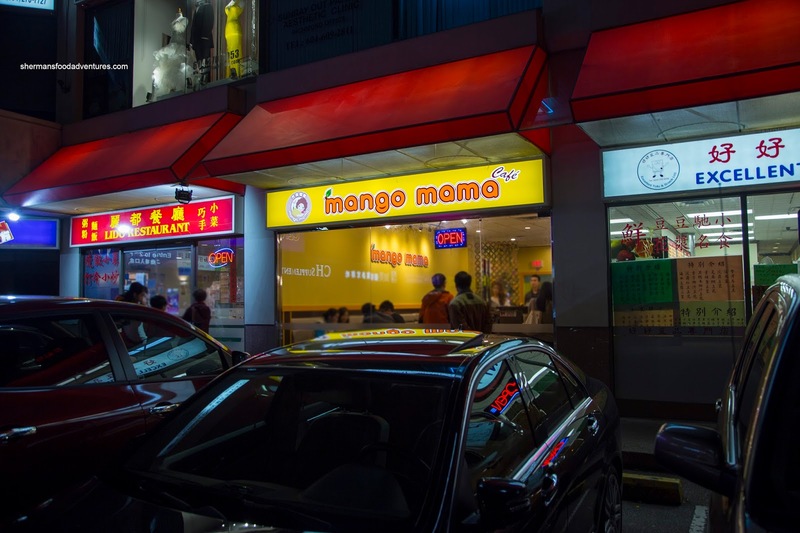 Well, I didn't help the cause as I made it a point to stop by Mango Mama after a meal in Richmond. Yah, this was equivalent to letting loose a bunch of ants on a sugar cube. She was rather pleased we were visiting a place that was partially named after her favourite fruit. Well that meant we couldn't get out of there without ordering the Snowy Mango Fluffy Ice with mango, mango ice cream and mango popping pearls. 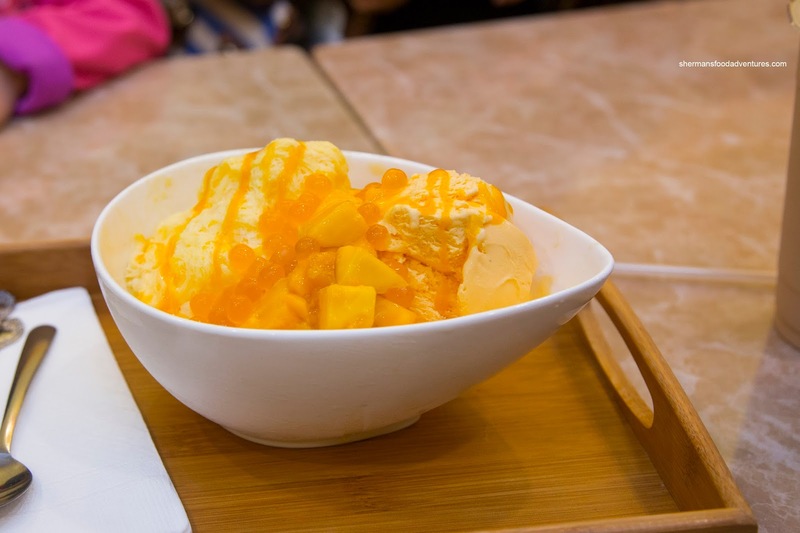 Well, this was mango overload in a good way as the ice was indeed fluffy and finely shaved. Although there was quite a bit of sweetness, it wasn't overwhelming. We found the mango to be fresh, not frozen. However, this came at a cost - $13.95! 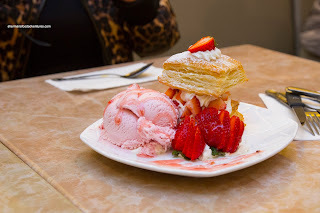 Interestingly plated, the Strawberry Napoleon Cake featured plenty of ripe strawberries accompanied by ice cream and puff pastry. This was pretty standard where the dessert was more like strawberries and cream with a piece of puff pastry on top. 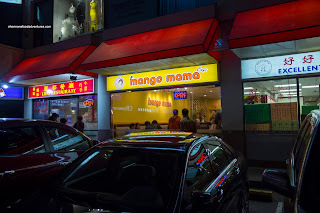 Alas, after a ChineseBites meal at nearby Aberdeen Centre, Sean and I decided to drop by Mango Mama for a few expensive desserts. 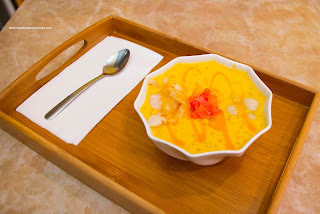 We split the Mango Sago (with mango, mochi and grapefruit) first and it was a decent portion. It was slightly thick with a mild mango essence. There were chunks of fresh tasting and sweet mango to go with the chewy mochi balls. 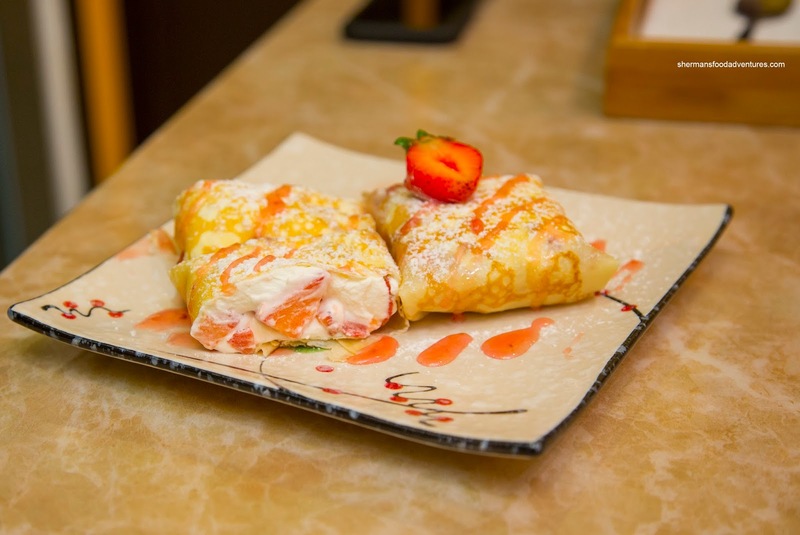 Next was the Strawberry Pancake which featured a thin crepe that was fairly dry. 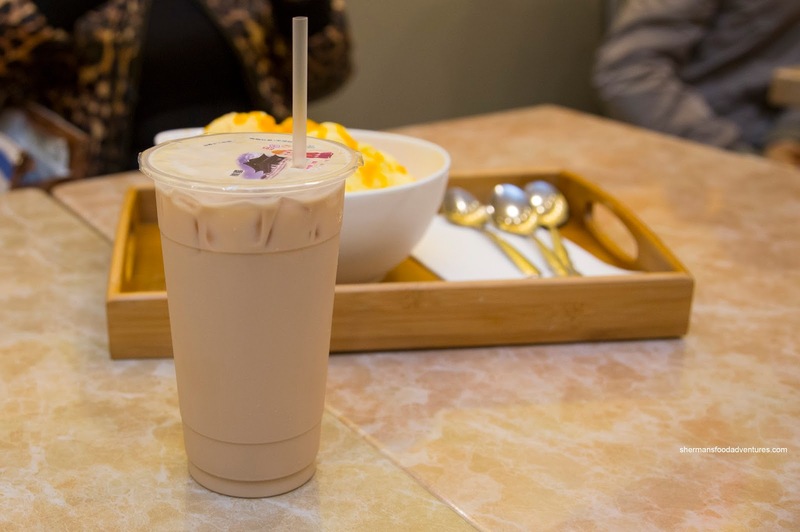 Inside, the fresh whipped cream was light and mildly sweet. 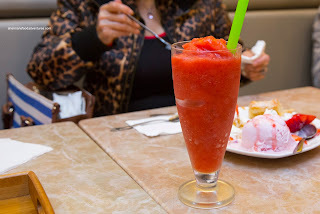 Since strawberries are not in season, it was by no surprise that they were a bit tart. In the end, we visited the place due to convenience and came away aghast at the prices despite the fairly decent desserts.